Fantastic holiday villa with pool, near the course and the beach. Property 1: Fantastic holiday villa with pool, near the course and the beach. Beautiful house with stunning views, a large pool, garden, set in a vineyard. Property 7: Beautiful house with stunning views, a large pool, garden, set in a vineyard. Quiet holiday between the dunes, the beach, the pine forest and the river. Property 10: Quiet holiday between the dunes, the beach, the pine forest and the river. Rural house with garden and natural pool. Property 11: Rural house with garden and natural pool. HOUSE IN THE COUNTRYSIDE BETWEEN BRAGA AND PORTO. 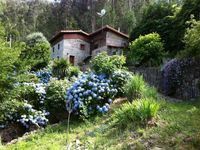 Property 14: HOUSE IN THE COUNTRYSIDE BETWEEN BRAGA AND PORTO. House with pool, By the Sea, has Esposende - Portugal. Property 27: House with pool, By the Sea, has Esposende - Portugal. Property 44: Rural house with garden and natural pool. Property 46: House, By the Sea, has Esposende - Portugal. Relaxing in the Nature !! Property 49: Relaxing in the Nature !! Property 50: Excellent home in luxury condominium. Such a cozy home in a beautiful setting. The property was easy to find and the host was very helpful. Highly recommended for anyone looking for a rural get away. Wish we could have stayed longer than two nights! Very spacious and restful with great views, especially from the pool! We thoroughly recommend Quinta da Emigrante without any hesitation. For the three out of four of us (adults) this was our first visit to Portugal and the house could not have been more welcoming. The bedrooms were large, the kitchen well equipped and a snooker table featured among the furnishings. The TV was not working but that did not bother us one bit. The outdoor grill was perfect for barbecues but the highlight of the villa grounds was the pool, which looked out on the distant hills. We enjoyed many sunsets after an evening swim. Quinta da Emigrante is also a perfect jumping off point for excursions, especially to the remote splendour of the nearby Parque Nacional where we hiked. The baroque city of Braga is within easy reach and we spent a day rambling through Porto to the south. Viana do Castelo, on the coast at the mouth of the river Lima, is also worth a visit. Maria and her family gave us a warm welcome on arrival which we greatly appreciated after a long journey from Lisbon!